Home Science & Society Whom Is The Indian Administration Designed To Protect? Recently a widow of the freedom fighter who fought in Subhash Chandra Bose’s Indian National Army lost a legal battle to get back their own money her husband had deposited in Shanghai. The Delhi High Court said that the government cannot raise a dispute with another country on private claims. “The Government of India is under no obligation to raise a dispute with a foreign government qua the private claim of its citizens,” a bench of Chief Justice G Rohini and Justice Sangita Dhingra Sehgal said while dismissing her plea. The order came on an appeal filed by Harbhajan Kaur, the widow of the INA officer who died in 1979. Her husband had served in the Indian National Army, which was formed by nationalist leaders like Subhash Bose and Rashbehari Bose in 1942 in Southeast Asia during the 2nd World War with an aim to secure India’s freedom by bringing down the British Empire. Her counsel had further submitted that it is an established principle of international law that any property, particularly belonging to aliens, cannot be confiscated without just compensation and the fact that they suffered confiscation only because they were in service of the Indian National Army. Mrs. Kaur is no ordinary private citizen of India, she is the widow of the freedom fighter who fought for India’s freedom. Why can’t the Govt intervene in such a sensitive matter? Can’t our own laws protect the families of our freedom fighters? What about the ordinary citizens? Why can’t we protect our own people? This kind of situation arises because we are still following the colonial British structures of Judiciary, Police and Civil Services which were designed to serve the interest of the East India Companies and the British Govt. The below excerpt from our report Evolution Of Indian Judiciary, Police And Civil Services precisely explains this situation. In those times the British Kings, Pirates and Bankers had separate status; Kings were rulers, Bankers were financiers for both Kings and Pirates for interest and insuring of the loot and Pirates were what they were or are today – looters and plunderers of high seas. A vast shipping industry was financed with approval of the British Kings and soon with looted finances Britain became a country of great sea explorers. This agreement (Banker-Pirate-King division) was well honored until the formation of East/West India Companies, where these loose compartments of British Bankers, Pirates and Kings (BPK) were legalized and at last started to substitute for each other. The interchange of the roles of BPK became a problem. Pirates are ruthless; bankers are cunning and fraudulent and kings, selfish. When few members of these each individual groups took over the branch roles of the other, there arose the question of how to safe guard the interests of the larger group members. They needed to have some civil rules to follow whenever a dispute arises over a loot or a plunder or over distribution of loot. Moreover only a general framework of distribution of loot could be framed as in each situation there were new parties, new volumes of loot. This needed a new class of citizens to administer the said framework for BPK solely for the purpose of favoring of BPK members. This new class should be able to amend some of the rules on the instructions of new BPK members. This structure needed few to administer rules for BPK and another set of few to enforce those rules for those BPK who will not follow rules. This was the birth of the Civil Administrative Services of Britain based on individual case law as it came to be called British Civil Service (BCS). This was in three divisions, civil servants, police services and judicial system. These three components legalized the plunder and loot under the name of civilizing the New World or Second World (Americas) or Barbaric Third World (Asia and Africa) for next three hundred years. Till independence the ICS functioned as a strong arm of British Government, in protecting British officers from ordinary Indian wrath, helping in jailing Indian freedom fighters and aiding British in looting the Indian resources. After Independence the ICS became IAS. Post Indian independence the ICS was renamed as Indian Administrative Service (IAS) while the others continued with their own names – Indian Police Service (IPS) and Indian Judiciary Services (IJS). This is the only change that happened ever for the ICS. 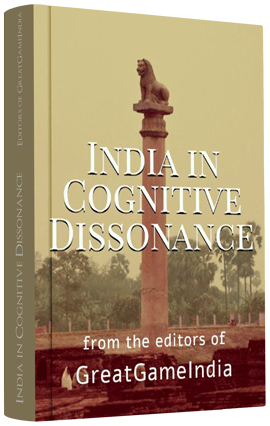 The laws that were made, the procedures that were laid during British time made for the ruthless exploitation of the Indians never changed for ICS/IAS. Whereas the poor IPS and IJS changed over time and Indianized their operations and truly became protectors of Indian people with their own limitations the ICS/IAS functioned on the similar lines of British Civil Servants. So whom do they protect now? The British thugs are not there to persecute, plunder and loot. But they are replaced in the due course of independence by another IBPK Indian Businessmen Politicians and K(c)riminals in India. While India is still following the British structures serving the interest of our Colonial oppressors dozens of African countries have sued UK, Holland, France, Spain, Portugal, Norway, Sweden, Denmark for their crimes committed more than 150 years ago. But they say Britain should pay the most because it was the most heavily involved in such crimes. Caricom, a group of 12 former British colonies together with the former French colony Haiti and the Dutch-held Suriname has not specified how much money they are seeking but senior officials have pointed out that Britain paid slave owners £20 million when it abolished slavery in 1834. That sum would be the equivalent of £200 billion today. After nearly seven decades of Independence why didn’t any Indian government raise this issue and sued the British Empire for the man-made famines, Jallianwala Bagh massacre, numerous assassinations, destruction of trade, agriculture and markets, death of 2 million Indian soldiers in both the World Wars each and others? The list is endless. What is mind-boggling is that the GoI is itself still in business with the owners of the East India Company rather than suing them and banning their operations in India. For the 2G Spectrum auction the Government hired none other than the House of Rothschild, one of the controlling families of the East India Company to design a first-of-its-kind e-auction mechanism in the world, a US$2.27 billion landmark deal, in which they got atleast Rs 30.5 crore in commission and Indians got a massive 2G scam ever seen in the history of Free India. Why the Rothschilds were never sued or prosecuted for rigging the auction system by advising not just the government and designing the system but also advising all the participating India Inc. companies? Why none in the mainstream media reported about it? Why even the opposition parties didn’t raise the issue? Then there is the case of De Beers owned by the Oppenheimers, another controller family of the EIC who is displacing tribals from their own lands in the Nallamalla forest while hunting for the hidden treasures of the Indian Kingdoms during the Vijayanagara Empire. The tribal Chenchus are being driven away from their ancestral homeland in the Nallamala forests under various government schemes like Project Tiger, threatened with revolvers under the suspicion of being Naxals, for the mining projects awarded to De Beers. There are numerous such cases and we have written extensively about it. Still today laws are being changed/formed to protect the interests of these EICs turned MNCs while the people of India suffer. In cases where our brilliant officers from the agencies track these MNCs down and bring them to court for even a minor crime of evading taxes, the GoI is dragged into international courts where these corporations flatly deny to pay anything. Take the example of the recent dispute where British telecom giant Vodafone has rejected to pay Rs 22,100 crore taxes it owe to the Government. When the Hague tribunal gave its ruling rejecting Beijing’s claims to historic rights in the South China Sea anti-US protests broke out in several Chinese cities, with people targeting KFC and McDonalds outlets and even smashing iPhones. China strongly condemned the verdict, declaring it null and void, and questioned the legality of the tribunal itself. As is the case India didn’t support China’s bid in the issue. Now the same Hague tribunal has ruled against the Indian government in the Devas/ISRO deal and has slapped India with $1 billion in damages. In yet another case US has won the dispute that arose after India banned the import of frozen chicken legs from the U.S. to stop the spread of deadly avian influenza into India. The US raised a dispute with the WTO. A WTO panel confirmed in June 2015 an earlier ruling that India’s ban was not based on international scientific standards, was more trade restrictive than necessary, and unfairly discriminated against U.S. imports. India was given until June 2016 to lift the ban and follow international standards. Along with it India was to be slapped with a penalty of $450 million per year for failing to comply with a World Trade Organization ruling. The Indian poultry sector have already raised these concerns regarding chicken raised on genetically modified (GM) corn and soya as feed being dumped on the Indian market. Even as the government is pushing for a less-cash economy after it withdrew Rs 500 and Rs 1,000 currency notes as the legal tender, India lacks laws to protect consumers if they lose money during digital transactions. When the law can’t protect even its own people why are we still following such archaic and counter-productive British installed structures at the expense of our sovereignty? Why can’t it be reoriented and designed to serve the people of India rather than the interest of foreign Govt. or corporations? Subscribe Now and read this exclusive researched report on the Evolution Of Indian Judiciary, Police And Civil Services published in the Jul-Sept 2015 issue of GreatGameIndia Magazine.